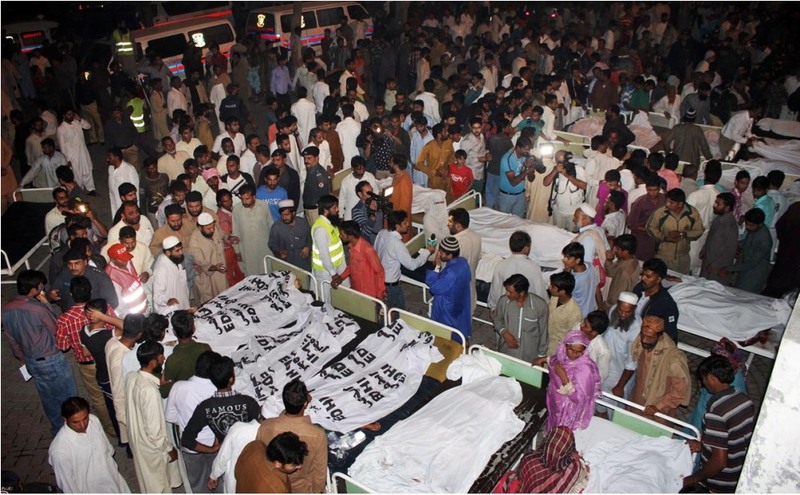 On 2 November 2014, sixty people were killed in a bomb blast, whilst returning from a flag lowering ceremony at the Wagah Border, near Lahore. Hizb ut-Tahrir Wilayah Pakistan harshly condemns this brutal act of terrorism and prays for the deceased ones, so that may Allah grants them Jannah and fills the hearts of their relatives with patience over their loss. Since the US occupation of Afghanistan, when America entered this region as a greatly expanded physical presence, Pakistan has become a hub of deadly bomb blast attacks. Pakistan did not experience such carnage when Soviet Russia occupied Afghanistan. Nor could India take advantage of that situation, although she was an ally of Soviet Russia. However, since traitors in Pakistan’s political and military leadership extended support to the US in occupying Afghanistan and fighting the tribal Muslims who resist the US occupation, they opened Pakistan’s territory to American terrorist organizations as the CIA, FBI, Black Water and the Raymond Davis Network. Now, Pakistan’s military and civilian installations are continuously under deadly bomb attacks. Pakistan was successful in stopping a superpower, USSR, and its ally, India, from launching bombing campaigns in Pakistan solely because their agencies were not allowed to roam around, acquire residential houses, plan evil campaigns and then execute them freely. Moreover, the rulers now claim that we have the support of American intelligence agencies and we are not facing a superpower, rather we are facing small militant organizations. So how can such a small force be so successful in conducting such horrific acts of terrorism, whereas a superpower failed previously? In reality, the traitors in Pakistan’s political and military leadership have never been able to present any credible excuse for Pakistan’s participation in America’s so called War on Terror. If fighting the Soviet occupation was Jihad, then how could fighting the US occupation be declared as terrorism? So, in order to create an excuse for participating in the US crusade, American terrorist organizations were let loose to roam freely in Pakistan, so they can plan and execute bomb blasts like the Wagah border attack. They then put the blame on the tribal Muslims, claiming that they have the support of Indians sitting in Afghanistan, even though it is the US that allowed India its footprint in Afghanistan. Thus, America and its agents have tried to change a strong opinion against the US war, found within our armed forces and the general public. That is why Obama in 2009 said, “In the past, there have been those in Pakistan who have argued that the struggle against extremism is not their fight...as innocents have been killed from Karachi to Islamabad... Public opinion has turned".